The Big Ben is the most representative icon of London and not visit the city without going through the Westminster area in which it is located, to take a photograph with him behind conceived. It is worth mentioning that since last year 2012 his real name is the Torre de Isabel (Elizabeth Tower) but was previously known as the Clock Tower (Clock Tower). 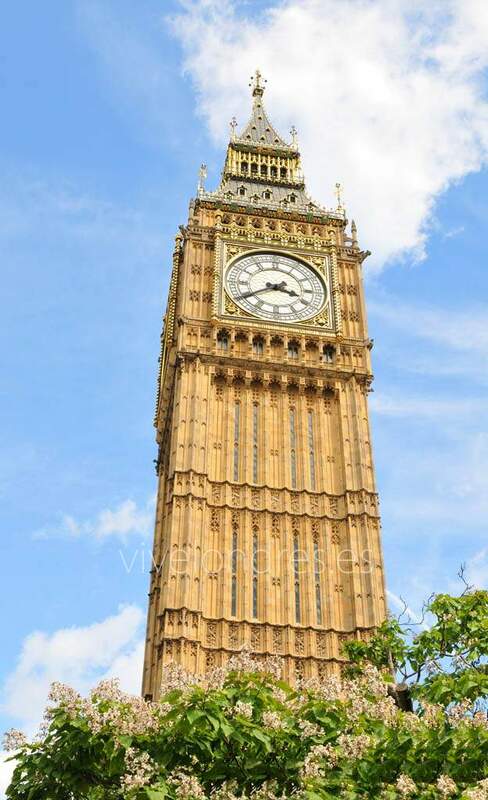 The fact that his popular name is Big Ben is because that is the name that has been given to the bell of the clock itself and the metonymy or trasnomination has done the rest. The Clock Tower is a tower of 96.3 meters in height whose top architecture is a four-sided clock. 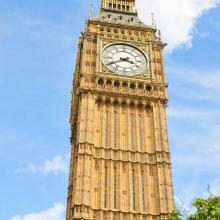 It is the third largest clock tower in the world and just for that it deserves to be visited. Why is this watch built? Big Ben begins to be built as a new palace after the fire on October 16, 1984 in which the Palace of Westminster was destroyed. The famous Charles Barry was the chief architect of the project but the design was the work of Augustus Pugin, contrary to what many think. Regarding its appearance, the Gothic style tower has a body of 61 meters high that is complemented by the 35 meters of the upper iron needle. It is built in brick but with a light limestone coating that gives it a special color, especially when it gets dark. It is curious that the clock campaign can weigh, nothing more and nothing less than, 14 tons. In addition, the clock has a length of 7 meters on each of its faces. Great, right? Part of its history allows us to confirm that it is a clock that supports the most adverse weather phenomena such as rain or snow. In addition, he endured the bombings of World War II so he is a war hero. It is important to remember that this watch is not only famous for its aesthetics and for being the symbol of the city of London but for its accuracy and reliability in terms of time. In fact, the BBC radio station retransmits its bells on a daily basis.